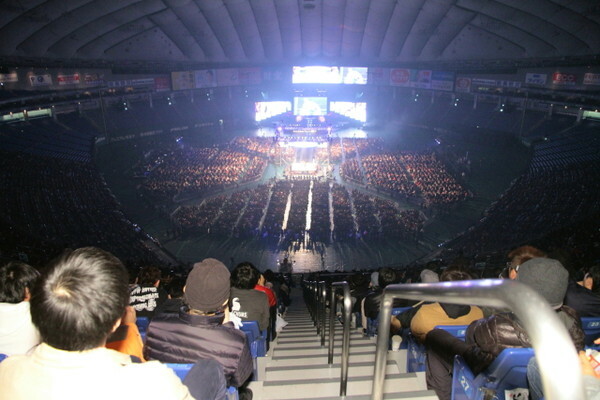 Tokyo Dome crowd at WrestleKingdom 10 shortly before the start of the main event. First out was Jushin Thunder Liger, followed by Yoshiaki Fujiwara, who probably had a significantly harder time walking to the ring than participating in the match. Suffice to say, Fujiwara’s work here was not of the same calibre as his Tenryu retirement show match with Minoru Suzuki and company. Tiger Mask entered next. He and Liger attempted a double leg lock – not surprisingly they payed for it. Seeing Matt Striker, Kevin Kelly, and Yoshitatsu at ringside muted filled me with a sense of morbid curiosity – curiosity to see two of my least favourite announcers announcers, and Yoshitatsu, call one of the year’s most important events. To the assured delight of Dylan Hales and company, Cheeseburger entered next, leading to an interaction with Fujiwara, a match up most probably evading even the most adventurous and seasoned of Fire Pro players. He threw plush cheeseburgers into the crowd as he entered. As was the case in 2014, Hiro Saito entered next, looking more like Keiji Mutoh than ever before; YOSHI-HASHI followed. Liger and his protege, Cheeseburger, did some double-teaming for a while. Mascara Dorada entered in his special match garb. I couldn’t understand the commentary, but heard Cheeseburger mentioned perhaps more often than anyone else. Captain New Japan entered and was swiftly submitted by Fujiwara, who was then pinned under a dog-pile. Nakanishi JOGGED out, perhaps shortly after chugging a bottle of motor lubricant down. He looks healthier than he has in a long time. 2014 RAMBO winner, Yuji Nagata was out next. Liger aided Cheeseburger and others in the elimination of his own partner, as well as Saito. Satoshi Kojima too jogged down. Kojima held HASHI for Cheeseburger’s machine gun chops, but disgusted at poor Burger’s form, pushed HASHI into him. The other half of TenCozy was next down (also in great comparative shape), then Taguchi. Unfortunately, it would seem that everyone hates Taguchi, who was kicked repeatedly in his posterior by Nagata and sextuple teamed. Shiro Koshinaka made a surprise appearance bonding with Taguchi over the art of the flying hip attack! Everyone took a back-side to the face! HAKU CAME DOWN AS A MEMBER OF THE BULLET CLUB! Nagata and Kojima were eliminated by Haku. Kabuki was next out! Tenzan submitted Haku, who was swiftly pinned by Taguchi. Cheeseburger was terrified of Kabuki. A bruised and battered Sakuraba was next out; he engaged Kabuki in a striking battle before getting misted by Kabuki, who was DQ’ed in the process. Taguchi rolled Sakuraba up, and he was then dog-piled for a very quick elimination. Sakuraba had the most worrying of any appearance in this entire match. Jado entered down the ramp accompanied by idol singer Momoka Ariyasu for promotional reasons, right after Cheeseburger was eliminated by Kojima and HASHI. Jado and Ariyasu argued on the outside about who would take the spot in the RAMBO. Jado jumped in and was almost pinned by Koshinaka’s diving hip attack, with Taguchi breaking it out to land his own hip attack on Koshinaka,. Pinning him – a passing of the torch. Jado then low-bridged Taguchi to win the 2015 RAMBO! Ariyasu cut a super long promo and was lifted by Jado in a bizarre finish to another bizarre RAMBO. The following rating is essentially meaningless. We then had Tanahashi and Makabe appearing as cavemen via video to promote the new Doraemon movie and limited edition Doraemon/New Japan gloves (?) – a partnership that we covered pictorially a few weeks ago. Someone in Nobita suit (Doraemon’s main human character), a caveman (in New Japan gloves), and a little girl then appeared on stage together with an alien robot thing. This was of course followed by caveman Doraemon! There was then the most bizarre of all wrestling concerts, as Tanahashi and Makabe, together with Cavemen and the little girl danced both in screen and in person (ignoring Tanahashi and Makabe, of course). This surpassed the Astroboy appearance years ago as the greatest modern movie tie-in at a wrestling show. It goes without saying that this was better than any Mania concert ever, although still garnered approximately the same reaction. The movie trailer was also great. Amazingly, on Romero’s eye patch is printed a picture of himself with an eye patch. Cody Hall aided the Bucks in jumping the three other teams from behind. This match was for its majority most of what was expected. There was a very creative spot, with Nick Jackson doing his standard tope over ‘O Reilly, who was performing an armbar on his brother in the ropes. Hall interfered for some good heat before border-tossing Ricochet into most everyone out on the floor. There were flips everywhere, the reactions to which demonstrated just how big juniors can get over in the Dome, even if that has been the case for several years. There was a unique superplex tug of war spot with Romero playing the tie breaker. Sydal and Ricochet did their double shooting star spot, but Romero took More Bang For Young Buck for the Bucks victory. We knew what this match was going to be from the onset, and this was as good as it could have possibly been. On the way out, the Bucks gave a shout out to “all their boys at The Fed”. This match was a match to decide the inaugural NEVER Openweight six-man champions. Tama Tonga was arguably the best man in-ring heading into this match. One of the announcers said about Yujiro’s valet “lookingu good desu”. As one would expect, the match dropped to the floor immediately. As has been evident for the last couple of months, Yano, like Chaos stablemate Kazuchika Okada for some time, has given up on bleaching his hair. The usual Bullet Club/Yano shenanigans ensued. Tonga and Jay worked the majority of the match as the two best workers. It was mostly pretty basic with the Briscoes pinning Tonga with a doomsday device in what I would consider an upset in what ended up as the come down from the opener. Martini had a “Japanese copy” of The Book of Truth. Elgin overpowered Lethal early, landing the delayed and deadline suplex that originally endeared him to the NJPW fanbase. Martini blocked a kick with The Book before taking a massive tope, which sent Lethal himself careening into the guard rail; he followed with a second. Lethal worked Elgin over with a chin lock, but kept things entertaining. Elgin began his comeback with a series of power moves, including a bridging Deadlift German hold. Elgin took the Lethal Combination and elbow. Lethal kicked out of a top rope falcon arrow. Martini was backfisted to death. Lethal took the buckle bomb, but managed to land a shot with the book and Lethal injection for the win. They had a fun ten minute match. KUSHIDA had an outstanding entrance with Taguchi playing a Doc Brown from the Back to the Future series, controlling what I assumed to be KUSHIDA via remote control. Taguchi was speaking to himself, whilst making wacky faces. Unfortunately, the heel shenanigans continued with the Bucks and Kenny landing super kicks on Taguchi and KUSHIDA before the bell. Omega sprayed hair spray in KUSHIDA’s face before whacking him over the head with a garbage can – landing a moonsault off of the guardrail, can in hand. Further stale shenanigans ensued. The Bucks reduced the match to further comedy playing drums on the cans. KUSHIDA began his comeback with a handspring to the face before beginning some arm work. KUSHIDA landed a giant punch and sold the hand, allowing Omega enough time to recover in order to avoid the corkscrew splash. KUSHIDA countered Croyt’s Wrath into a Kimura, whilst the Bucks engaged in a tug of war with mad scientist Taguchi saving the day with a garbage can. Omega went for Katayoku no Tenshi, KUSHIDA countered, but took a knee to the face and a sit out powerbomb for two! Another knee followed, but KUSHIDA countered the Katayoku no Tenshi for the fall. Unfortunately, KUSHIDA couldn’t lock the arm, so Omega’s shoulder was clearly up – thankfully, it was out of the referee’s view regardless. Anderson was in outstanding shape, which was in hindsight a sign of what was to come. Regardless, the hope here, just as over the past couple of years, is for a Honma/Makabe victory to revitalize the division. Because, as the early portions of this match demonstrated, Bullet Club chicanery is more than stale. This commenced less than engaging heat before Anderson and Honma had a good face-off and Guns & Gallows ramped things up. Regardless of what I think, the crowd was all for it. Honma countered the Gun Stun and landed a flying headbutt. The closing stretch with Makabe and Gallows was very good with Makabe slapping Honma, firing him up, and allowing him to land the Kokeshi, and Makabe the King Kong Knee on Gallows for the big win, and what will hopefully be the dawn of a new tag team division. This match, even at thirteen minutes overstayed its welcome. EVIL was dressed in a robe, waving lasers around before BUSHI came out in a Day of the Dead inspired mask with sickle, and Naito walked down in a white suit with snow monkey mask. There was yet more interference, as BUSHI and EVIL jumped Goto before the bell as well as on the outside – tiresome to say the least. Naito landed a neck breaker from the apron through a table, which broke, but not all of the way through. As has come to be expected from scumbag Naito, poor Goto was spat upon. Goto landed a sunset bomb from the top rope. A fiery forearm battle ensued with Goto getting the better of Naito landing an over the knee neck breaker. There was an unneeded ref bump. Goto landed his lariat and went for the Shouten Kai, but EVIL and BUSHI ran in. BUSHI sprayed mist in EVIL’s face before being laid out by Goto. Naito grabbed a sneaky roll up, but Goto kicked out and landed the Shouten Kai for the win. Tomohiro Ishii and Katsuyori Shibata ram heads like mad men. I don’t believe that I have written a report since Ishii’s new theme debuted – it should be said that it is a fitting addition to an already great song library. They came out with slaps and tried to kill each other before slowing down to a forearm battle, which the Dome was super into (Chono and Liger were guests on commentary). Ishii landed a kick to the back and Shibata looked at him as if to say “that can’t be all you have!”. They then did the wacky “you kick my back, Ill kick yours” spot, which borders on self parody. Shibata killed Ishii and dropped him with one strike after taking several vicious chops! Ishii crawled back with a back suplex for a double down. Ishii kicked Shibata in the head tauntingly. Elbows and chops followed! There was a white hot sequence of elbows and kicks from Shibata ending with a big boot, which sent Ishii down to the mat. Ishii inched his way out of an octopus hold and took several rough facewashes. Ishii took jabs and elbows, diving into Shibata’s strikes with massive intensity and knocking him down with one strike of his own. Shibata brutalized Ishii in a similar spot, and drove his face through Ishii’s head before getting lariated to death for another double down. Ishii attempted the armbar lift, but as at the Korakuen tag, was pulled back into the armbar. 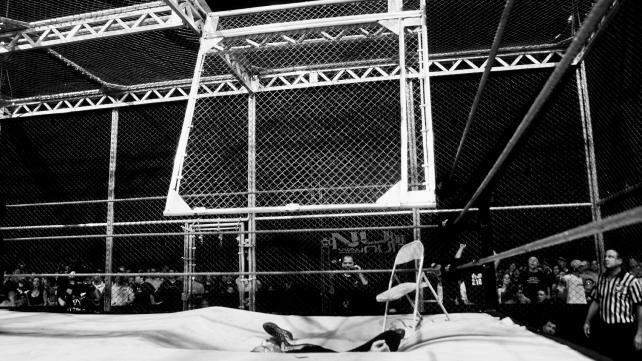 Unlike in that match, however, his escape made sense at the ropes. Big boot wars! No selling of doom! Ishii tried to Honmanize Shibata’s voice box with chops, before spiking him with a powerbomb for two. Ishii went up top for the suplex, but Shibata tried for a Kimura. He couldn’t get it, and so hung Ishii up arm first. Shibata no sold a dropkick and Ishii landed a lariat! Sliding D for two! Crowd dipped a bit for the double down. Ishii took an enzuigiri and was knocked with a lariat. There was another double down again! Ishii sold a headlock like a God! I then wrote near unintelligible gibberish, as Shibata landed kicks to the lungs, a PK was blocked, and these two men traded the most brutal single series of headbutts I have ever seen in pro-wrestling. Shibata landed a big head-kick for the count of one. Ishii responded with a lariat of death for two. At this point it was time to go hone, and they did, with Shibata landing a back-fist, Ishii catching the PK, but then Shibata landing another for the win. 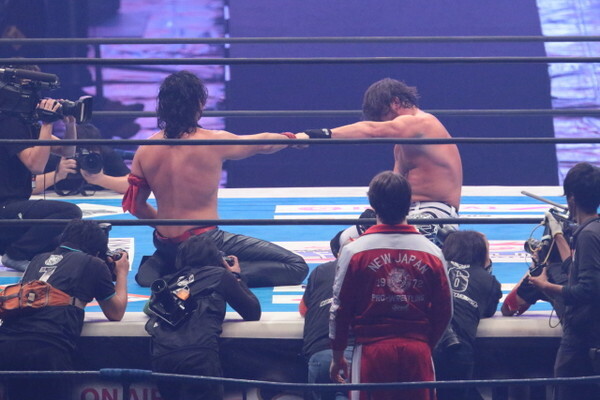 NJPW departees, AJ Styles and Shinsuke Nakamura, fist bump in what may be their final respective NJPW classics. AJ came out in a tremendous Bullet Club mask. They teased the Styles Clash and Boma Ye early in a beautiful exchange. Styles shot a “Bullet” at Nakamura, which Nakamura promptly ate! Nakamura did a Swagsuke version of the AJ hand sign. Nakamura lulled AJ back first and he seemingly landed badly. But was faking and ran Nakamura off with a knee – brilliance on AJ’s part. Styles locked in a cattle mutilation; Nakamura made it to the ropes. Nakamura came back with a back breaker and rammed Styles, back first, into the guardrail. Styles took a series of kicks to the gut and an enzuigiri before being vibrated and front suplexed, which made a incredible sound in the cavernous Tokyo Dome. Nakamura landed a knee to the back. Styles came back with a springboard forearm. Styles tried for a suplex, sold his back, but managed to pull off a snap suplex in the corner. Shinsuke escaped from a Calf Killer and went for the Boma Ye. Nakamura avoided, but was caught back in the calf killer. Nakamura countered into an armbar, but took a shot to the face and relinquished. There was a super exchange before AJ took a gigantic bump from a top rope Boma Ye for the double down. A super stiff forearm battle ensued (not by the prior match’s standards, however). Another awesome exchange followed. Nakamura connected with a Boma Ye, but Styles kicked out. Nakamura killed Nakamura with a knee! AJ landed a 450 splash of doom; again for two. AJ came back with a back fist, but Nakamura countered into a weird armbar, which was then countered into the Styles Clash, which was one of the best and most memorable moments of the entire match. Nakamura kicked out! The Tokyo Dome popped very well for this spot! Styles busted out the Bloody Sunday! Nakamura was planted face down in the middle of the ring! 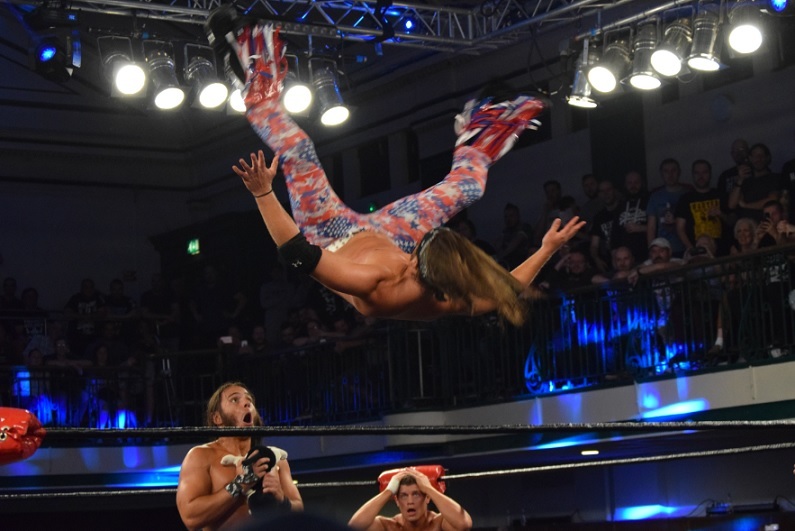 Styles attempted the Styles clash from the very top, but Styles landed a high kick! A seemingly out of control death valley driver from the top for two! A Boma Ye to the back of the head and one to the front for win followed for the Nakamura victory! 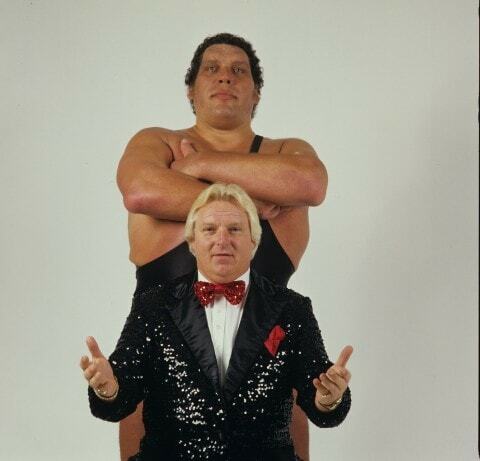 The two WWE signees fist-bumped afterwards. Hiroshi Tanahashi counters the Rainmaker with a slap in their 3rd WrestleKingdom main event. flurry, with Okada knocking Tanahashi off of his feet with a big boot. Tanahashi, began to demonstrate subtle heel tendencies , going after Okada’s leg, and breaking after a couple of counts. Tanahashi countered an attempted tombstone and was drop kicked to the outside with a springboard dropkick, which Okada sold immediately. Okada booted Tanahashi over the barricade and landed a running splash on the other side! Tanahashi missed a senton from the middle role. Okada then kipped up, on his bad leg, and unfortunately didn’t have the nuance to pull that no-sell off. Tanahashi went back after the leg. Okada followed Tanahashi to the top rope, but was dragon screwed to death for his troubles. Another one followed coupled with a sling blade on the apron! Okada then took a high impact high fly flow to the outside. Okada teased a slip to lose via count out – excellent work. Okada took a high fly flow to the knees and Tanahashi locked in his cloverleaf; Okada made it to the ropes. Okada required referee assistance to free his leg. He then went for a jackknife pin and turned it into a belly to back over the knee of the shoulder neck breaker, after which he continued to sell the leg. A forearm battle followed. Okada landed repeated dropkicks, five or six in a row; didn’t touch his leg a single time! He then landed one from the top rope; this portion of the match felt disjointed. A diving elbow followed, but Tanahashi countered an attempted tombstone into a package for two. Tanahashi came back with another dragon screw, which Okada was now forced to sell. A high angle clover leaf was locked in. The Dome was screaming here! Tanahashi landed a neck breaker and sling blade and missed a high fly flow. Okada landed a neck breaker of his own followed by a tombstone and rainmaker for two! Okada landed a High Fly Flow, but Tanahashi kicked out! Tanahashi landed a rainmaker and went up top, landing a high fly flow to the back and one to the gut for almost two! 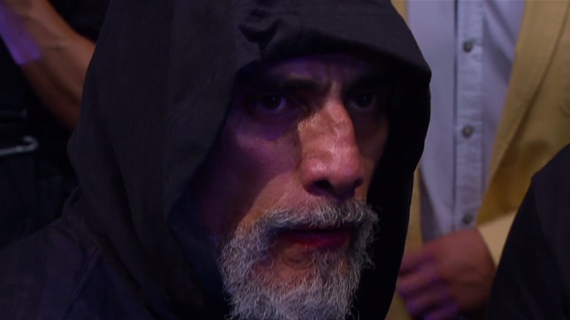 Okada’s face read “I am going to kill you now”. Okada was prone as in after his 2015 loss, but dropkicked Tanahashi mid high-fly-flow! Tanahashi levelled Okada with a slap and landed a dropkick. Tanahashi ducked a rainmaker, took the German, but then slapped Okada to his knees. But, the story was that after battling for over three years and the WrestleKingdom victory over Tanahashi evading Okada, he held onto Tanahashi’s wrist for dear life, summed up the strength, landed three Rainmakers just to be safe, and beat the former ace of the company on their grandest stage. For more on WrestleKingdom 10 and the week in wrestling, check out this week’s newsletter, out this weekend. NXT Takeover: Toronto Review – WWE Show of the Year, Joe Dethrones the King, DIY & Revival Steal the Show. WWE RAW March 7th 2016 Review – Road Block Go-Home Show. Great Styles/Jericho Tag Match. Sami Zayn Returns. 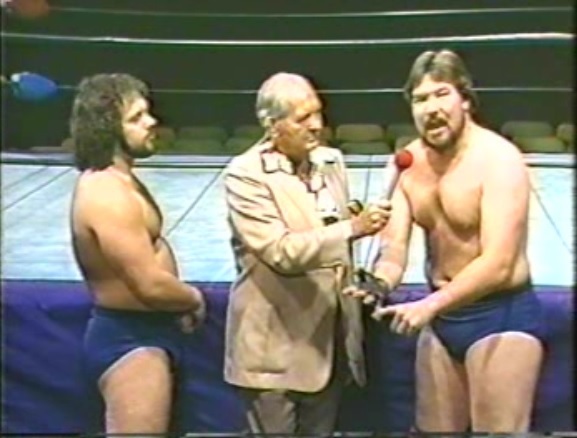 Mid-South Wrestling TV #158 September 18th 1982 – Stacked Show. Infamous Kamala Vignette, Tag Title Match, Great Angles.